In a blink of an eye, The Summerhouse has opened for a year at seletar airport with its integrated multi dining concept which houses the Dining Room, Wildseed Cafe and Wildseed Garden Bar. A new addition to the Summerhouse is the air conditioned Garden Dome in the edible garden which has also blossomed after a year. 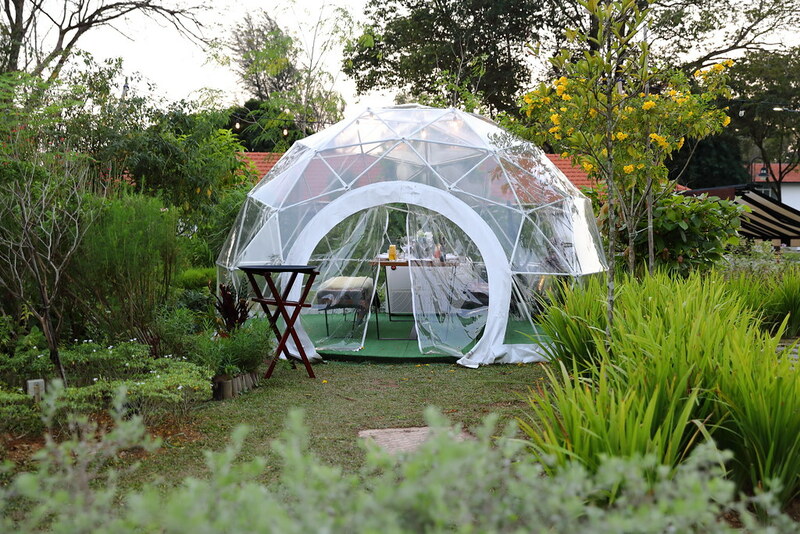 There are a total of three domes at the Summerhouse with individual theme - Bohemian, Scandinavian and Lounge. 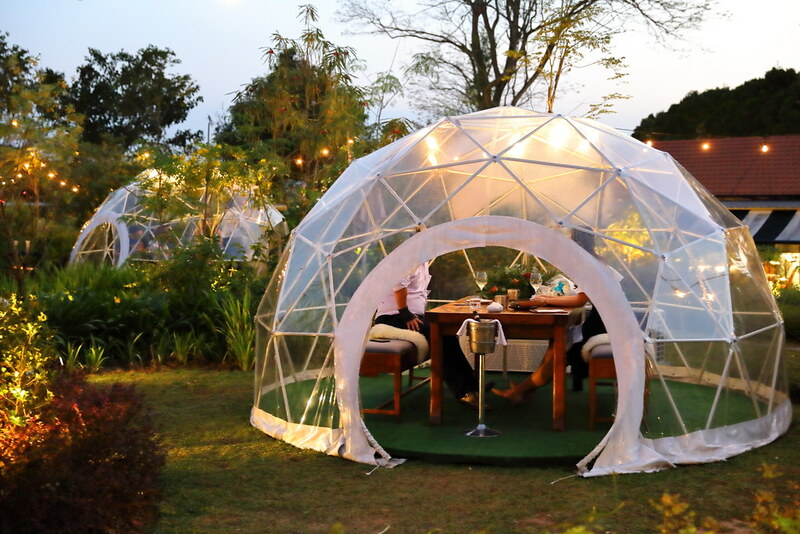 Each dome can accommodate up to a 8 diners. An ideal magical concept for private party or romantic dinner. I heard that it is extremely popular during Valentine's Day and even for marriage proposal. 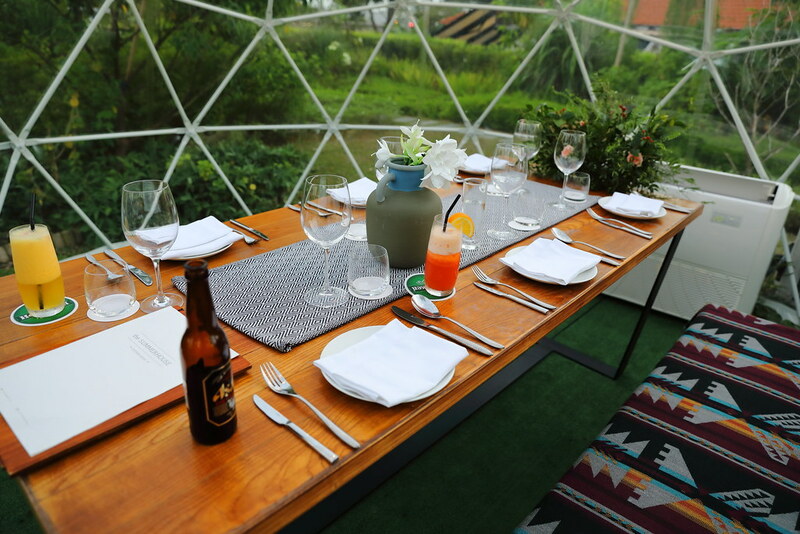 The dome has to be pre-book with Wildseed Garden Bar with a minimum spending of $300. 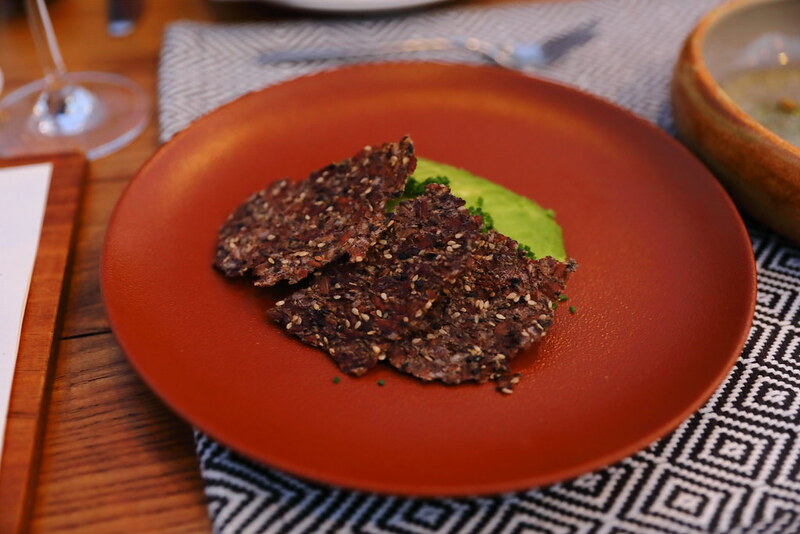 The Chia Seed Cracker ($14) at first glance looks like thin crispy bak kwa. It is actually made from boiling a mixture of brown rice, chia seeds and sesame seeds, mashed, spread into a thin layer and baked for another 40 minutes to achieve the crispiness. It is paired with Australian avocado, ikura, truffle pecorino, chive and an sous vide egg yolk. 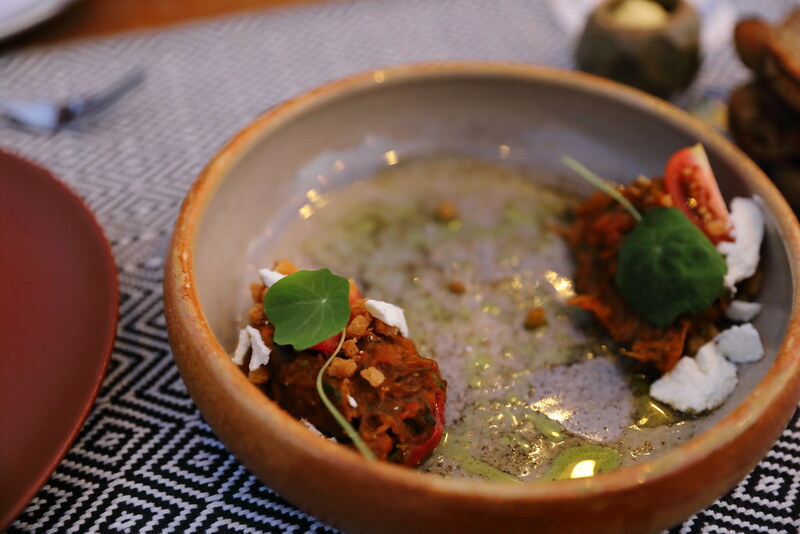 Next we had the Moroccan Eggplant ($14) which comes with mild goat cheese, leek ash, coriander oil, croutons. Don't worry if you don't like eggplant, as it don't get that mushy texture here. The stewed eggplant has been marinated with parsley, coriander, smoked parprika, preserved lemon, chilli padi, salt, vinegar and garlic. 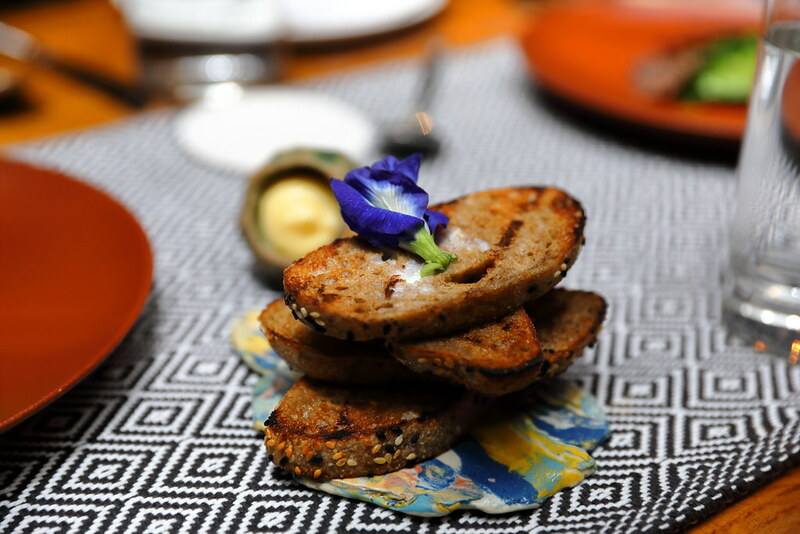 I felt that it goes very well with the Grilled Rye Bread ($5) which has been toasted and spread with buttermilk on top. As it was Chinese New Year period during my visit, I also tried some of the Chinese New Year items such as the Live Prawn San Choy Bau ($8 each). 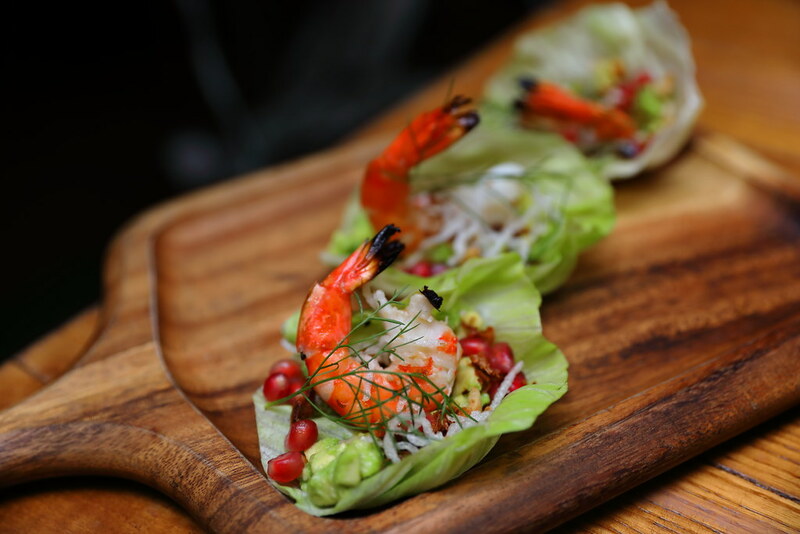 The succulent prawn is grilled and glazed with butter, served in a lettuce leaf filled with avocado, pomegrante, pine nuts, coriander, crispy noodles and a citrus dressing. I enjoyed the combination of texture and flavours. However I thought it would be more practical to remove the shell of the prawn's tail. 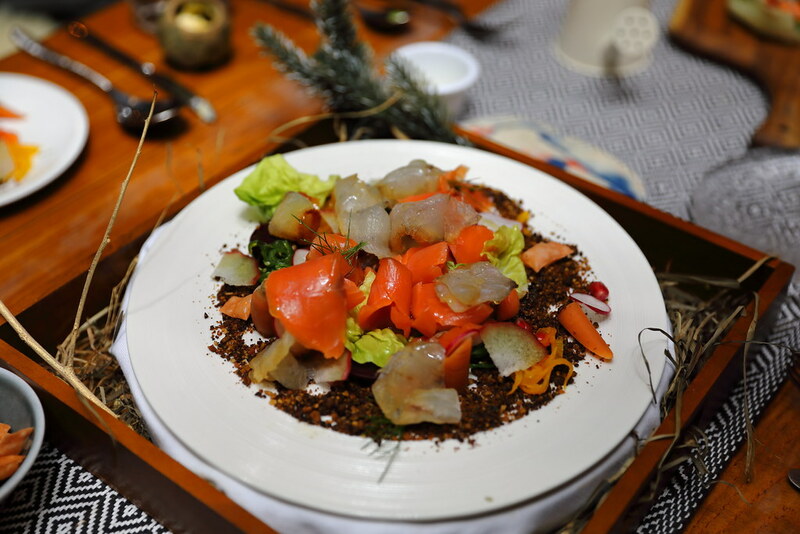 In conjunction with the Chinese New Year celebration, the Summerhouse has introduced its own version of yusheng - Farmer's Yusheng ($68/$88/$108). The colourful plate of resembles the garden, consisting of fermented carrot, butterhead lettuce, pickled beetroot, mushroom soil, mixed nuts, kohlrabbi, seaweed, citrus cured salmon, smoked sea bass, sesame seeds, pok chui, edible flowers, and dressed in passionfruit hollandaise sauce together with sesame and chive oil. It is a unique take of the traditional yusheng. While it is pretty, taste wise can be acquire for some. One of my favourite dishes is the Smoked Butter Poached Red Snapper ($42). The snapper fillet is first sous vide and torched before removing the skin. The result is moist and juicy. This is dressed in a seaweed beurre blanc which brought the dish to life. 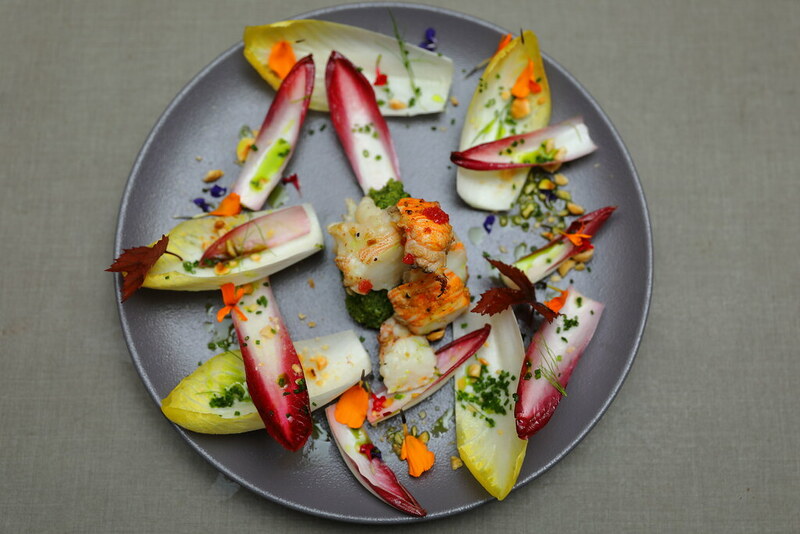 A very pretty dish on the menu is the Charcoal Grilled Slipper Lobster ($16 each). 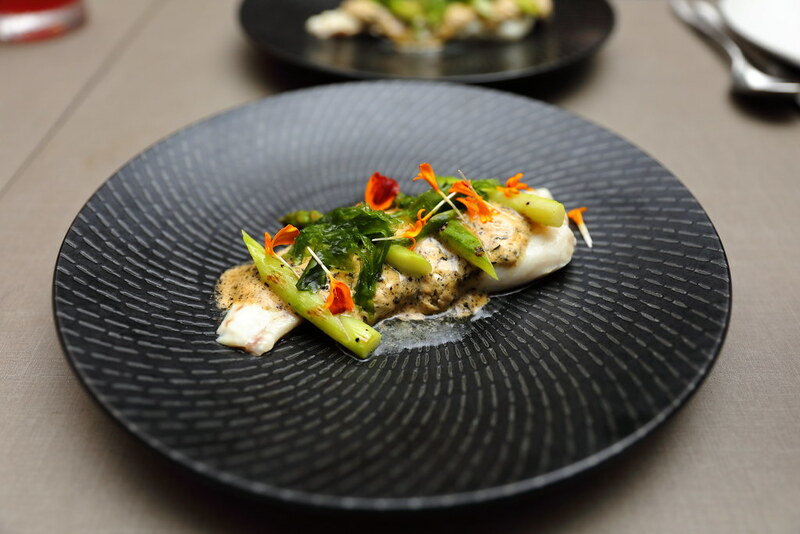 The slipper lobster is first sous vide and then grilled in an Inka oven. At table side, the chef will torch a variety of handpicked herbs from edible garden to infuse the slipper lobster with the aromatics. Personally I am not a big fan of chicory or I would have given it a higher rating. The Slow Cooked Lamb Shoulder ($34) is slow braised in red wine for 12 hours. I could taste the richness through the long hours of cooking but the texture can be more tender. 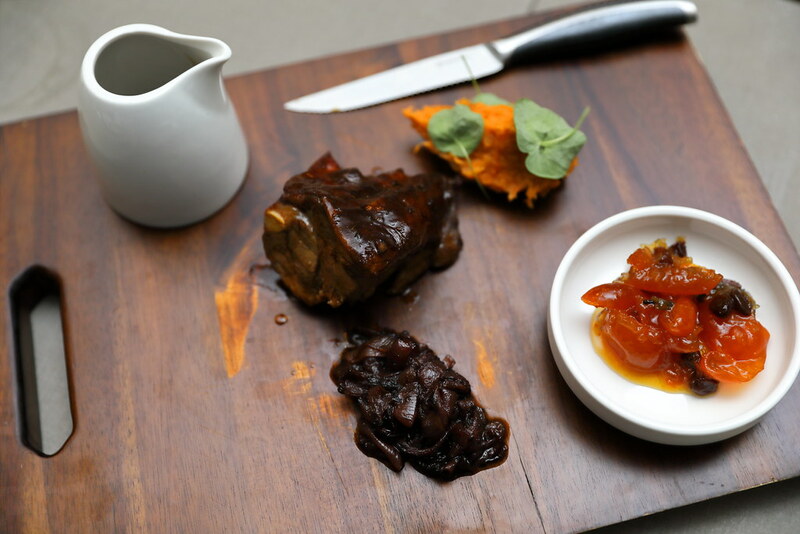 The highlight for me is actually the accompany Kumquat Chutney which helps to cut through the rich flavour. 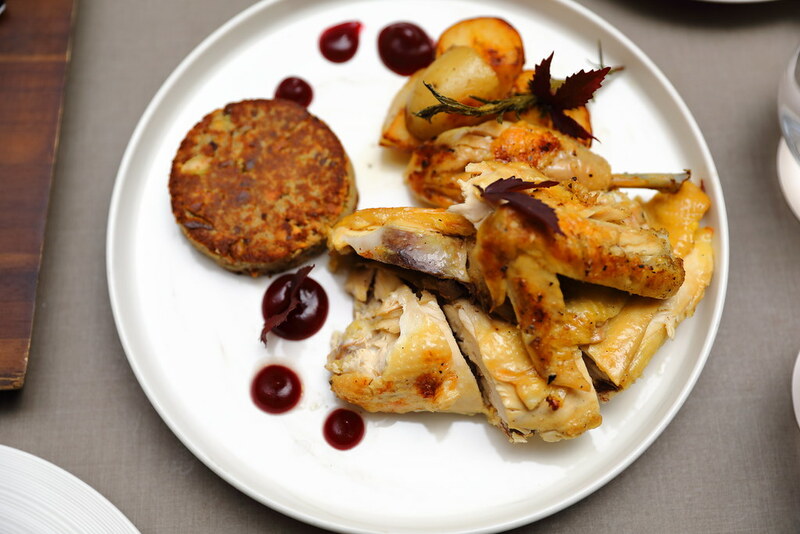 One can complete the mains with sides such as Smoked Potato Puree ($14) and Green and Purple Sweet Potato Leaves ($14). The potato is smoked with apple wood chips first before mixing it with housemade butter. 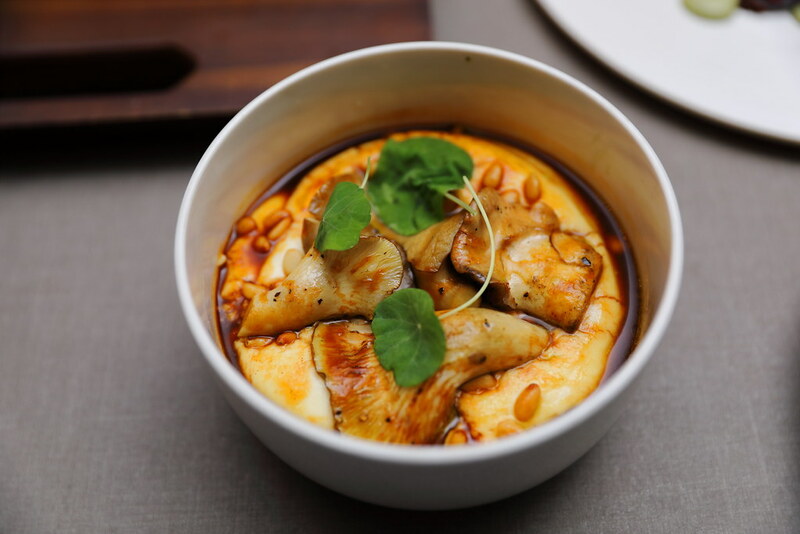 Besides the airy and smooth texture, the highlight is the beef stock that is added into the potato puree. The marriage elevated the whole flavour to the next level. I have never come across any restaurant using sweet potato leaves as a salad dish. The Summerhouse is the first for me. 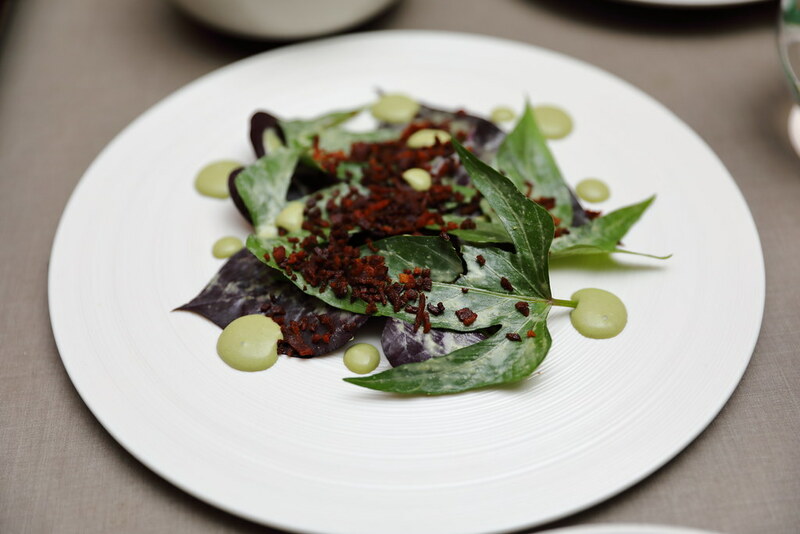 In my opinion, the Green and Purple Sweet Potato Leaves ($14) lacks crunch and flavour to be served as a salad dish. The saving grace is the creme fraiche which has been blended with anchovy paste and bacon bits, giving the pile of leaves the needed zest and bite. I am glad to be reunited with An Xi Chicken again in the Wood-fired Free Range French Poulet ($28) at The Summerhouse. Having used the chicken for Ultimate Hawker Fest 2014 event back then, I know how different the chicken tastes compare to the normal broiler. An Xi chicken has a sweeter natural taste. It is already good on its own, with the wood-fire giving it a coat of aroma on top of the sweetness. The Balinese Chocolate Ice Cream ($14) consists of a freshly baked chocolate cookie at the base with vanilla custard and a scoop of chocolate ice cream made using Baliness cocoa. 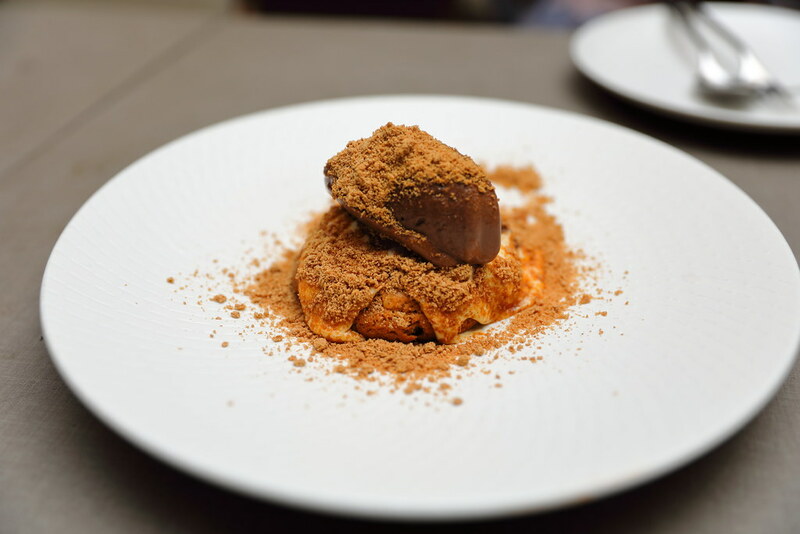 This is dusted with hazelnut praline powder. Simple but messy, the play of the warm cookie with the cold ice cream works wonderfully together.